With so many applications, posters have become an excellent way to deliver your message. 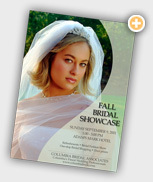 With our poster printing services, using posters has never been easier or more affordable. The sizes we have listed are the most common, but we can accommodate any online custom printing request. So break out that picture of your 80’s hair, you know you want a huge poster above your fireplace. Printing has never been easier or more affordable than with PrintHouse(45). Custom poster printing from PrintHouse(45). We won't leave you hangin'. We also offer a number of other online large format options to consider... banners, displays, and retractable displays.